on Saturday Sept. 1st, the day before the Kauai Marathon. Registration fees are $15 until August 27th and $20 up to and including race day. Each participant is guaranteed a medal and t-shirt if they pre-register before August 27th. On-site registration begins at 8am on race day and the races start at 9am. 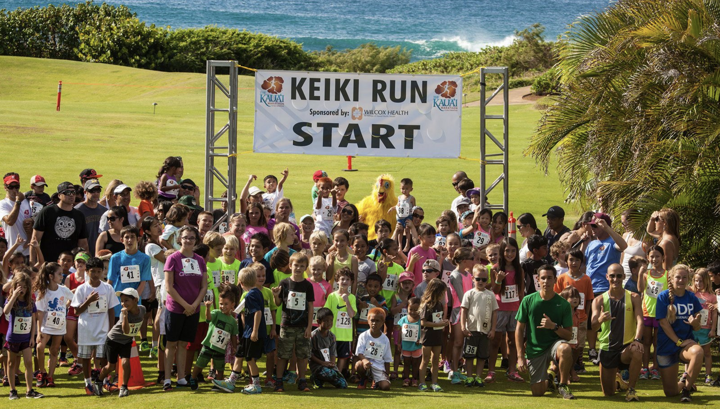 Participants run on the ocean side of the Grand Hyatt Kauai. Races are run on the grass and led by a chicken! Commemorative t-shirt and medals are available while supplies last. Everyone is a winner!